Author’s note: I’m going to present a series of introductions to the main characters in SHADOW OF THE LION, first those in “Blood on the Moon” and later those who appear in volume 2 “The Fields of Hades”. 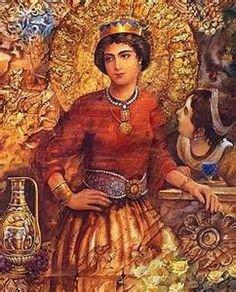 Roxana (also spelled Roxane): Her Sogdian name was ROSHANAK which meant “Little Star”. Her father was a Sogdian nobleman and warlord named Oxyartes. 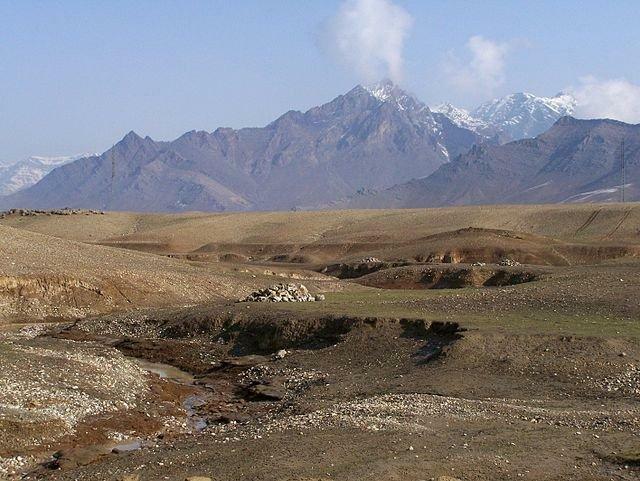 His fortress was atop the formidable Rock of Ariamazes in Sogdiana near the Oxus River, known as “The Sogdian Rock” in the Hindu Kush mountains, today’s northern Afghanistan. 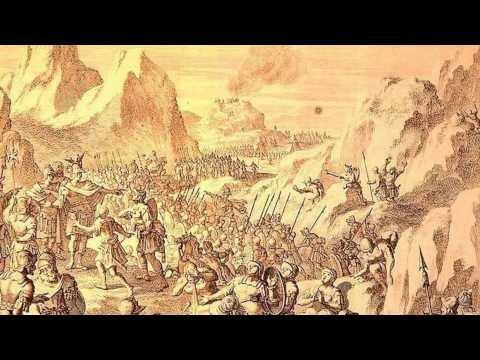 Roxana was about fifteen years old when Alexander’s elite troop of mountaineers scaled the heights of the Rock and stormed the fortress. It is said that Alexander fell in love at first sight when he met this spirited Soghdian girl who was described as ”the most beautiful lady in all Asia”. All agreed that Alexander was entranced by her. He was 29 and had never been married. An obvious candidate had been Barsine, widow of Memnon of Rhodes, who had been his concubine since the Battle of Issus, but instead he chose Roxana. They had a lavish wedding and symbolized their union before the guests with the Persian custom of cutting a loaf of bread with a sword and each eating half as bride and groom. 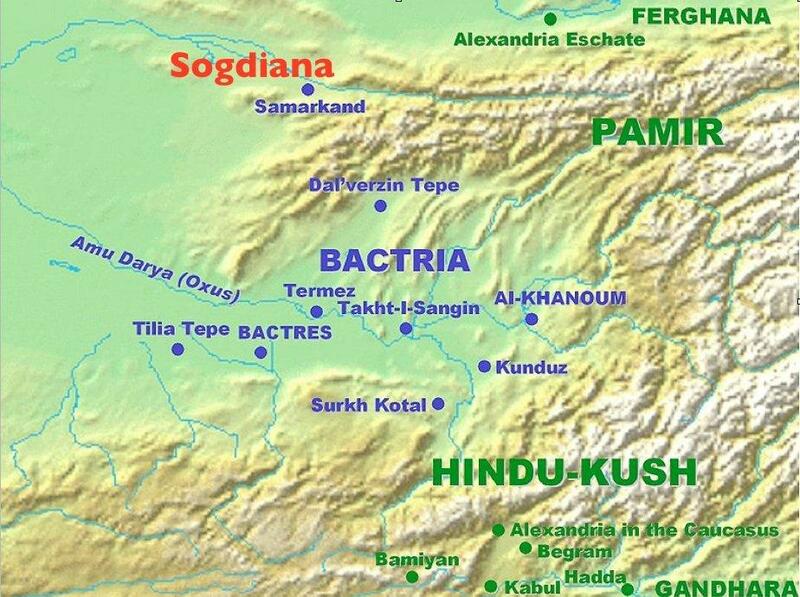 Of course his marriage was political move as Oxyartes was one of the most powerful chieftains in Sogdiana. Roxana was a fierce-tempered mountain woman. Her three brothers were warriors and were later conscripted into Alexander’s army. One of them, Itanes, became the commander of a special squadron. Alexander’s marriage to Roxana was a noble step, his first marriage was meant to secure Soghdiana as part of his empire, so perhaps this was more of a reality and not romance when he married her. His father, Philip II always took wives from the tribes he conquered. And to maintain the Soghdians’ loyalty marrying a local princess was a logical step. The marriage provoked his generals. Alexander had begun to adopt Persian customs, including the proskynesis (bowing in obeisance to the king), and the men were outraged and bitter toward Persian royalty. After the marriage, Roxana followed Alexander to India where she gave birth to a child that died soon after. 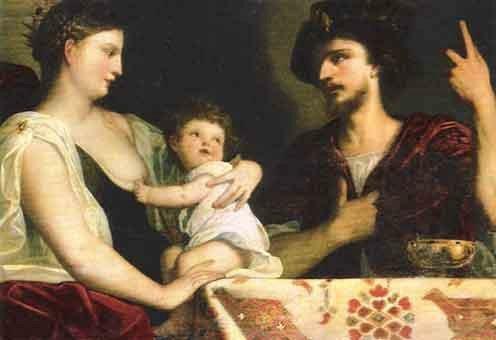 She accompanied Alexander to Babylon and when he died on June 10, 323 BC she was again pregnant. So was Alexander’s second wife, Stateira, the daughter of Shah Darius. In a fit of jealousy, and with General Perdikkas’ help, Roxana allegedly murdered her female rival. Unlike most of the other Persian noblewomen who were quickly swept from sight after the Macedonians repudiated the marriages that had been arranged for them by Alexander, Roxana managed to survive, but she and her newborn son were never truly accepted. The child, Alexander IV (in the novel named Iskander) born a month after Alexander’s death, was of Soghdian blood, not a true-born Macedonian. Because the generals insisted there should be a Macedonian on the throne, they made Alexander’s mentally challenged half-brother Arridaios, joint kings with Alexander’s infant heir. Roxana’s life after Alexander’s death was not an easy one. Despised by most of the generals and known for her angry outbursts, she was isolated and mostly friendless. In the novel, I created a fictional character, Nabarzanes the Persian Court Advisor, as a sympathetic character who she could rely on. Her life became a struggle as she tried to survive the maelstrom of Macedonian politics and intrigues of the Macedonian court. She could trace her bloodlines to an Assyrian queen and was used to a rich, indulged lifestyle, known for her temper, selfishness and arrogance. Alexander’s generals considered her a mere campaign wife. After the death of General Perdikkas who manipulated the joint-kings in hopes of gaining his own hold on the throne, Roxana and her child were placed in the guardianship of Polyperchon, one of the officers who had served Alexander in Soghdiana. 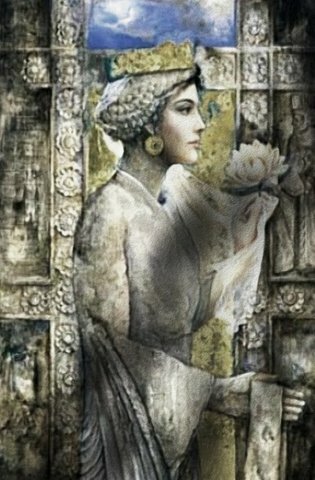 For a woman who had grown up in the mountains of the Hindu Kush, traveled to exotic India and lived in the posh palaces of Persia and Babylonia, it must have been a strange experience for Roxana when she and her child were finally transported to Macedon to be placed in the care of the aging regent, Antipater. This entry was posted in Uncategorized and tagged Asia, campaigns, marriage, Soghdiana by W. Ruth. Bookmark the permalink.